Our field service technicians maintain, service, and repair all equipment made or sold by Ag-Pak including: Ag-Pak, C-Pack, Gillenkirch, Jasa, Kwik-Lok, Markem, Matthews, NEWTEC. Ag-Pak field service technicians start up most systems and equipment sold by Ag-Pak. Most often the system is first assembled in our Gasport, NY factory where the equipment is integrated and tested. 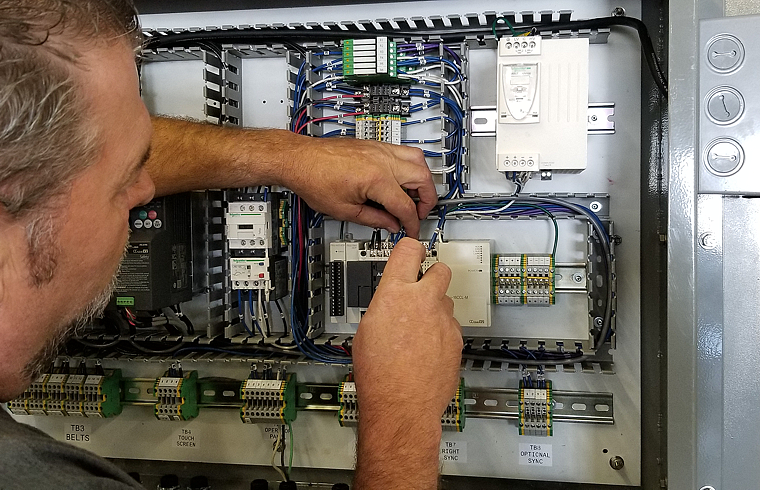 When the system is ready to install on-site, our technicians help install the equipment, test, and make sure all is running smoothly.